Ask for Fire, Police or Ambulance. Stay calm, don’t shout, speak slowly and clearly. When asked give the: state you live in, street number, street name, suburb, nearest cross street. 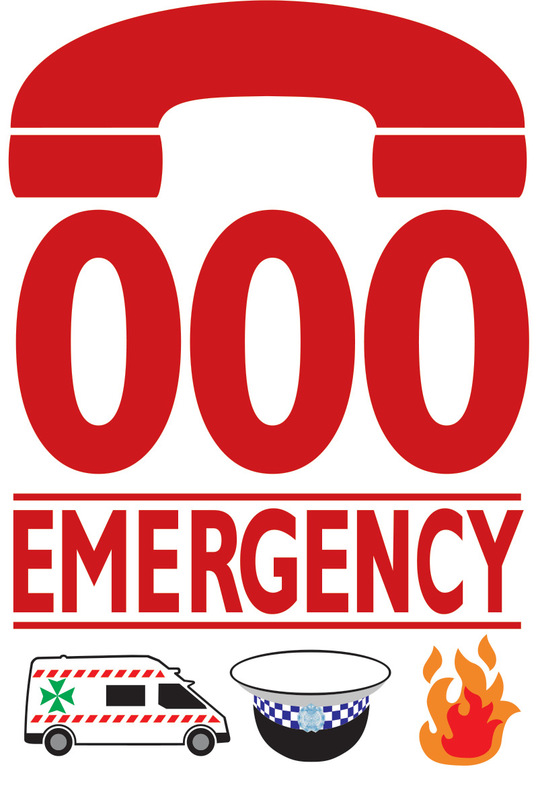 In a fire, get out, stay out, call triple zero ‘000’ from a mobile or a neighbour’s phone. If you are deaf, hard of hearing or have a speech impairment, the National Relay Service provides 6 ways to contact emergency services. By TTY – dial 106. By internet relay – and ask for triple zero (000). By captioned relay – and ask for triple zero (000). By SMS relay – text 0423 677 767 and include triple zero (000) as the number you want to call. By video relay – login to Skype and contact one of the NRS contact names. By ordinary phone – dial 1800 555 727 and ask for triple zero (000). Calls to 106 and 000 are FREE 24 hours a day, every day. Stay calm, don't shout, speak slowly and clearly. State you live in, Street number, Street name, Suburb, Nearest cross street. If you are deaf, hard of hearing or have a speech impairment, there are six ways of contacting emergency services. Last Updated - Thu Apr 11 17:07:01 AEST 2019.